Repair of Volkswagen Vehicles | German Sport, Inc.
Are you looking for professional repair of your VW vehicle in the Walnut Creek area? German Sport is your one stop auto maintenance and auto repair specialist. We provide only the best service and care for you and your vehicle, whether you are looking for transmission repair or suspension repair. Our team only uses state of the art technology to ensure that your vehicle is diagnosed correctly and efficiently. Our goal since 1986 has always been to do what we love best all the while offering the best customer service as well. 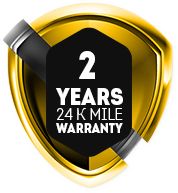 Our mission is to establish and build a relationship with you and your car. This is especially important for you so that you know that your car is always left with someone who you trust. From large jobs to small ones our staff is dedicated to doing everything possible to make you feel welcome, comfortable and satisfied with your service experience with German Sport. So contact us today to schedule your auto maintenance or auto repair appointment for your vehicle.